Is the Zeiss ZX1 good for Sports Photography? Zeiss ZX1 has a score of 49 for Sports Photography which makes it an AVERAGE candidate for this type of photography. If Sports Photography is important for you, we recommend you to check the Alternative cameras at the bottom of this page. Zeiss ZX1's 1/8000s shutter speed is fast enough to freeze any almost all sports action and is also helpful when you use a fast lens at largest aperture under bright sunlight. In sports photography , you keep continuous autofocus (AFC) mode on for tracking the subject and more focus means better tracking. It may not be used by everyone but pro sports photographers use Wi-fi to transfer files simultaneously without having to wait to change the memory card. Even though modern digital cameras features advanced algorithms to calculate the right exposure, they still may fail some difficult conditions. Manual exposure mode in these conditions helps a lot in order to achieve correct and consistent exposure. Compact cameras are not great at focusing moving objects especially at low light and your camera may not even fire bacause of not locking the focus, so manual focus mode is very useful at these times. During a sports shoot, using a viewfinder allows the photographer to stabilize the camera and reduce the camera shake since it is closer to the body. Besides, it comes handy where LCD screens are very hard to read under bright sunlight. When shooting indoor sports or outdoor sports at low light, an external flash may become very helpful. RAW files contains much more color information compared to JPEGs, and gives you more room for post processing without significant quality loss. They provide wider dynamic range and option to recover shadow and highlight clipping to some degree. In the world of sports photography, faster is always better. Most outdoor sports games are held in all-weather, so your camera has to be ready for difficult conditions such as rain and snow. Exposure to dust and water splashes are also very common in sports. 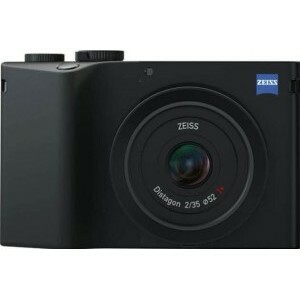 Zeiss ZX1\s compact body is not very ideal for sports photography as it lacks the external dials and knobs to change the camera settings fast and the ergonomics doesn't help you to have the most stable shooting position. Lack of Image stabilization may result in blurry photos especially at long focal lengths. 35 mm reach will not be adequate in many sports events.